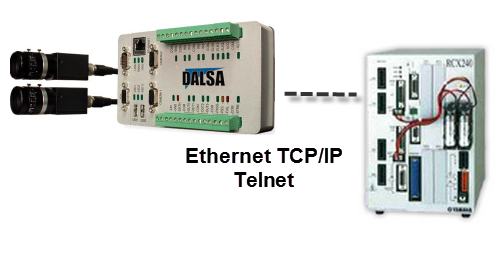 This application involved using a Dalsa VA31. This was a stationary application where the camera took a picture and transmitted via Ethernet TCP/IP an ASCII string directly into the Yamaha point table. Source code is provide that includes the Dalsa application file, Yamaha application file and sample pictures.